The Vision of Bharath Mahesh Babu ‘Bharat Ane Nenu’ Movie Teaser Released Today. The Movie is coming under Mahesh Babu, Koratala Siva Combination after the previous blockbuster ‘Srimanthudu’ crazy Combination Repeating again with the latest Flick ‘Bharath Anu Nenu’ Movie. The Combination has much hype and expectations in the Audience and Film Industry. Koratala Siva is on Full Swing with back to back blockbuster hits. Mahesh babu is waiting for a big break after ‘Srimanthudu’. 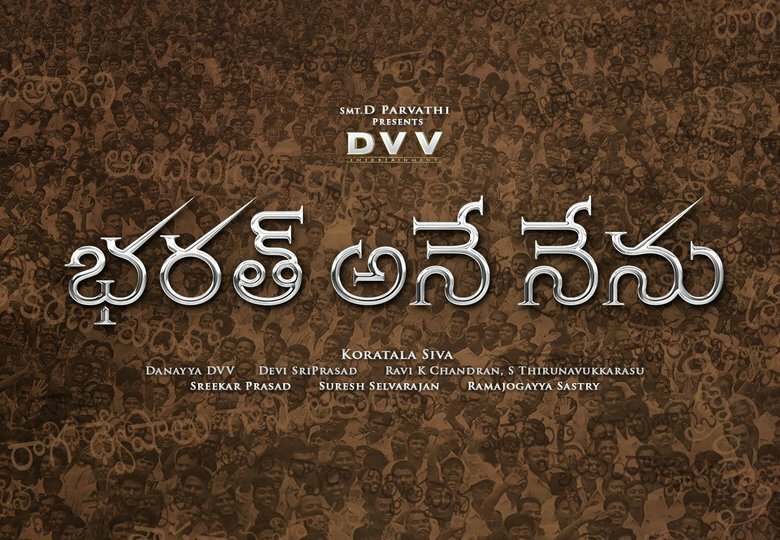 Bharat Ane Nenu’ Movie Teaser looks to fulfil their dream and reach the audience and fans expectations that the Teaser looks much promosing and creating much hype and impact in the audience. The Teaser making waves on Social Media and crossed 2 Million views with in 6 hours afte releasing on YouTube. Superstar Mahesh Babu Bharat Ane Nenu Movie starring Kiara Advani, Prakash Raj, Sarath Kumar, Rao Ramesh, Ravi Shankar, Posani Krishna Murali, Aamani, Jeeva, Benarjee, Brahmaji, Ajay Kumar, Sithara, Rajitha, Prithviraj, Devraj, Yashpal Sharma.